Look what showed up in the mailbox today… another rarity from Dig The Fuzz! I lack further info, but this seems to be one of the more modern projects DTF wanted to pursue at the time of the Astonishing Sound Show sampler. Sounds like modern UK Psych, but with all the trappings of yesterday's acid-tinged experimentations. Get lost in space here. 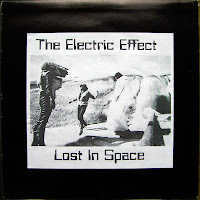 The Electric Effect is Jp Braddock. He did a rather good album called From the Centre of the Sun back in 1999. He also did the remastering & restoration for Dig The Fuzz. have you any idea when this was made? Hitting hard times at the moment… means I don't have the time to keep blog up. All FILES are stil available though. Enjoy and stay tuned (either subscribe to RSS feed or become a follower). I have been really enjoying your site! Wow!Great great collection! Thank you for sharing!! !